Our Partnership comprises business and community members from across Goulburn who care passionately about the future of our region. David McKenzie is Chair of North East Water. He is a Director of the Opteon Property Group and specialises in the valuation of agricultural assets and water entitlements. David was a member of the External Advisory Board for the Regional Economic Development and Services Review. He has a long history of community involvement and is a tireless advocate for healthy, engaged and equitable regional communities. Suzanne Miller is Chief Executive Officer of Nexus Primary Health. She has been involved in managing regional primary health services for over a decade and has a particular interest in the health benefits associated with strong connections to the natural environment. She holds a Master in Public Health and is a Graduate of the Australian Institute of Company Directors. Suzanne is a passionate advocate for equity of service access to people living in the region. Paul Briggs OAM is a Yorta Yorta man with a wealth of experience in community development. He is founding Chair of the Kaiela Institute and First Nations Foundation, as well as convener of the Algabonyah Community Cabinet. Paul has led numerous community organisations and played a key role in the establishment of many critical institutions. 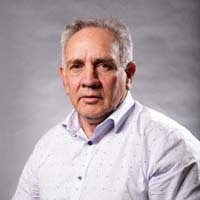 Paul was the first Indigenous man to join the Council of the University of Melbourne and was appointed as inaugural Chair of the Australian Football League's national Indigenous Advisory Board in 2015. Paul has been at the forefront of Aboriginal peoples’ rights and advancement since the early 1970s. Elaine Mallows is the CEO of Yarrawonga Health. Elaine has 35 years’ experience in health care. Her career started as a Registered Nurse, she later trained as a midwife. Elaine first moved into health care management in 1998. Elaine holds a Master’s in Public Health, and she is a graduate of the Australian Institute of Company Directors. Elaine is passionate about rural health care, in particular the delivery of high quality appropriate health care to rural people close to home. Elaine promotes the development of a flexible health workforce with the skills and passion for rural health care. 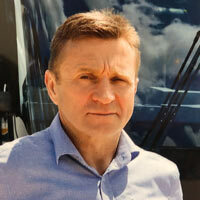 Stuart Locke is the General Manager of Seymour Passenger Services operating services across multiple shires in the Goulburn Valley Region. 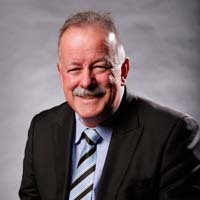 He is a Country Group committee member of the Bus Association of Victoria (BAV) and is President of the Seymour Business and Tourism Committee. Stuart is a passionate supporter of the Goulburn region and is particularly involved with the peri – urban issues that challenge areas of high growth in the south areas of the RPG region. Peter Hall operates a fruit production business in Tatura and is Chair of the Goulburn Valley Fruit Fly Task Force. He also has experience as a lecturer at the Melbourne University Dookie campus. Peter is passionate about the Goulburn Valley's people and resources fulfilling their potential to produce world class produce for Australia and beyond, and in connecting unemployed youth with the dignity found in work. Jamie Lea is a young leader who is active in community arts and events in and around the Goulburn Valley. She holds a Diploma of Event Management and an Advanced Diploma of Music Industry (Business). While raising a young family in Shepparton with her husband Allan, Jamie continues to work with young people and the wider community to promote positive change and a safe, accepting and supportive community for all. Sally Macdonald has experience in communications, policy development and disaster recovery. She has held a number of directorships with community based, not for profit organisations. Sally is passionate about growing the region's economic diversity and nurturing opportunities for small business growth. Peter Gray is a certified practicing accountant, Australian Institute of Company Directors graduate and Director of the Goulburn Murray AgCare and the Committee for Greater Shepparton. He is a member of the Regional Development Australia Hume Committee. Peter’s special interest is for agriculture to play a dynamic role in the future of our regional communities. 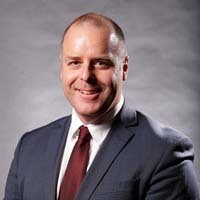 David Turnbull became Mitchell Shire Council’s new CEO in May 2016, after 9 years as CEO at City of Whittlesea and 12 years as Director Planning and Development. David is an accomplished, dedicated local government CEO with a 38 year career in local government. His entire career has been with Interface municipalities undergoing significant change and growth, combined with the challenge of maintaining township, rural and green wedge qualities. David is committed to providing quality services to the community through strong engagement, innovation and astute financial management and to leading a strong and motivated staff. Craig Lloyd joined Murrindindi Shire Council as CEO in January 2018. He has extensive experience in the public sector, including roles with state and local government, emergency services and not-for-profit organisations; and was previously the Director of Presentation and Assets with the City of Greater Bendigo. He holds a Masters of Business Administration, Masters of Project Management and a Post-Graduate Certificate in Community Development and is passionate about working with, and for, communities, driving quality service delivery and leading a passionate and engaged workforce. 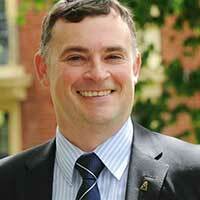 Steve Crawcour has been the Chief Executive Officer / Acting Chief Executive Officer for Strathbogie since 2010. Steve has almost 30 years’ experience in Local Government Councils in Victoria including the City of Springvale (now Greater Dandenong), City of Warrnambool and Brimbank City Council. Mark Henderson is a seasoned Council CEO having worked in that role in three states over many years. Whilst specialising in managing regional cities, Mark has close connections to the Murray River which has seen him recently return to north east Victoria where he has cattle farming interests. Mark is married with three adult children and enjoys fishing and horse riding. Mark is a former LG Pro Board member and his community involvement includes board memberships in health, tourism, education, service clubs and alpine resorts. Mark holds a Bachelor of Business, is a member of the AICD and a local government fellow. Peter Harriott is Chief Executive Officer of Greater Shepparton City Council and commenced in this position at the beginning of 2016. Previously he was CEO of Wattle Range Council SA from 2013-2016 and prior to that a Director at Greater Shepparton for twelve years. Peter has worked mostly throughout Victoria in Local Government over the past 30 years. Peter’s qualifications include a Bachelor of Civil Engineering, Masters of Business Administration, Building Surveyor Certificate, Engineer for Water Supply Certificate and a Municipal Engineers Certificate.